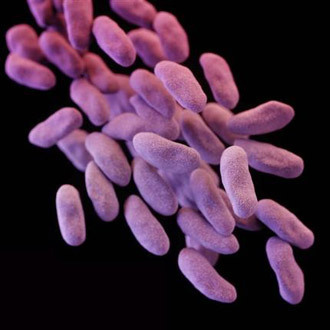 At least two people have died and a further seven exposed to a deadly strain of drug-resistant superbug bacteria at a hospital on the UCLA campus. Authorities are notifying 179 more people that have potentially been exposed. The enterobacteriaceae (CRE) can be fatal in as many as half of all cases if the bacteria reach the bloodstream. The university discovered the outbreak last month, while running tests on a patient. It will now test the other 179 people it believes to be infected. The Centers for Disease Control (CDC) and Prevention are currently assisting the LA County Department of Public Health in investigating further effects. Doctors at the Ronald Reagan Medical Center, where the outbreak occurred, believe the moment of infection happened “during complex endoscopic procedures that took place between October 2014 and January 2015,” according to CBS. 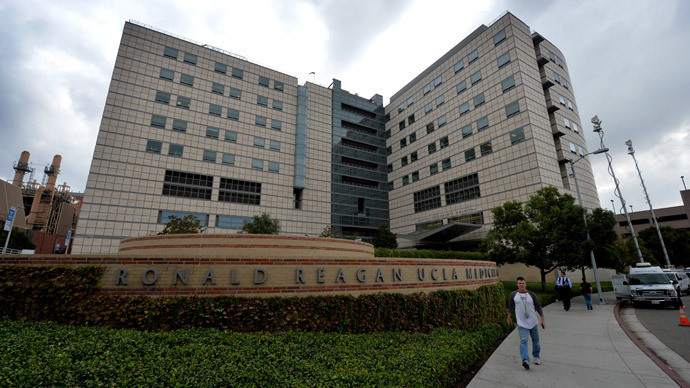 “These outbreaks at UCLA and other hospitals could collectively be the most significant instance of disease transmission ever linked to a contaminated reusable medical instrument,” believes Larence Muscarella, a safety consultant at Ronald Reagan. Although the scopes were sterilized in accordance with standard procedure, their very construction carries with it a risk of bacterial buildup. It turns out the scope could have transmitted the infection during a procedure “to diagnose and treat pancreaticobiliary diseases,” at least that is the working theory at this time. Over 500,000 people annually have scopes inserted into their bodies to treat infections and diseases occurring in the digestive system. The clinic is receiving high praise for spotting the infection early and enabling treatment. But there is ongoing debate about proper disinfection of the scopes, with some saying that conventional techniques aren’t suited to the scopes’ design. These are not standard scopes either: these and other endoscopes involved in previous outbreaks have “an elevator channel” that is used to get the tool into tight spots. It can be used with various attachments. It is there that bacteria build up. “The two scopes involved with the infection were immediately removed and UCLA is now utilizing a decontamination process that goes above and beyond the manufacturer and national standards,” university spokesman Dale Tate told the LA Times. Authorities in the state and beyond believe an industry-wide response needs to take place, as this is not the first outbreak of such kind. Since 2012, more than 150 patients in the states of Pennsylvania and Illinois, and the city of Seattle had fallen victim to outbreaks that could well be the result of a lax system for ensuring patient safety during procedures. A total of 32 patients were infected with contaminated endoscopes at Virginia Mason Medical Center in Seattle between 2012 and 2014, the hospital has acknowledged last month. The infection was a similar strain to the CRE found at UCLA. But a number of bodies advocating patient safety say that authorities aren’t fast enough in responding to the need to change things like cleaning guidelines and so on. “Hospitals and manufacturers often take months to assess what to do, with the infected patients being the last to know,” a further problem seen by Muscarella. The FDA is also on board with efforts to curb the rate of infection from contaminated instruments. It said in a statement it was “actively engaged with the manufacturers of duodenoscopes used in the US and with other government agencies such as the CDC to develop solutions to minimize patient risk associated with these issues… The FDA believes the continued availability of these devices is in the best interest of the public health,” it also said. The manufacturer and supplier of the endoscopes to UCLA, Olympus Medical Systems Group, has joined the discussion.